For many disenfranchised teens in the late 1980s, particularly those of us who might not have lived in the close proximity to a cool college town or a major American city, rock salvation amidst the litany of bad teen pop and hairspray metal dominating MTV at the time didn’t come in the form of Hüsker Dü or Sonic Youth. 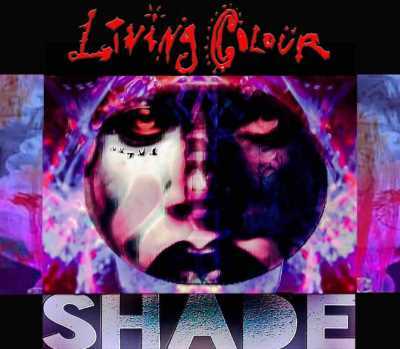 And nearly 30 years later, Living Colour has finally returned to the blend of graffiti guitar rock that made them the first true alternative to the hair metal nation of the Reagan/Bush era with the excellent Shade. Produced by Andre Betts, the studio vet who helped sire this band’s 3rd LP Stain while also working with everyone from Madonna to reggae legend Barrington Levy, this 13 track set sees the band tapping back into that essential ingredients of their core sound. The darker, more industrial overtones that mired their sound on not only Stain but 2003’s Collide-O-Scope and 2009’s The Chair in the Doorway as well have dissipated enough to give way for the kind of Lower Manhattan funk-metal moves that made singles like “Desperate People” and “Type” such monster jams of their day. It’s an especially exciting delight to hear the longtime lineup of Corey Glover, Vernon Reid, Doug Wimbish and Will Calhoun firing on all cylinders in both rhythm and riffage on such searing cuts as opening number “Freedom of Expression (F.O.X. )” and the Afropunk stomper “Glass Teeth”. Elsewhere, Living Colour’s roots in hip-hop are stronger than ever. The band’s imaginative rendition of “Who Shot Ya?” by the Notorious B.I.G.—released as a single last year as a commentary on the rash of police shootings of unarmed black men that infected 2016—turns up on here as well, not to mention Houston rap icon Mr. Scarface appearing in the intro of the Vivid-reviving throwback “Program.” The group’s golden funk pedigree strongly presents itself with a spirited, faithful version of Marvin Gaye’s street classic “Inner City Blues” and a simmering slice of Free Your Mind-era Funkadelic swagger called “Two Sides” that closes out this record and even features a cameo from George Clinton himself. Yet it’s Living Colour’s unrepentant love for the blues and its evolution within the hard rock idiom which serves as the key to all their best songs. And the firm handle they possess on the art that helped birth such eternal favorites as “Open Letter (To A Landlord)” and “Love Rears Its Ugly Head” delivers us another pair of evergreen classics in the horn section-blessed barn burner “Who’s That” and a ferocious rip through Robert Johnson’s “Preachin’ Blues” that seemed to be included strictly to remind sleeping heads just what a beast of a player Reid still is. It took them the better part of three decades to finally break down their sound to the raw materials that made them such a bracing antidote to the lily white patina of rock music in the late ‘80s. That may seem like a long time, but considering the fractured state of our country right now, Shade feels right on schedule.